Within several years of establishment, the Alabama Cancer Congress has become the leading representative body of providers for cancer medicine in the state of Alabama. The continued commitment of promoting education, advocacy, and a sense of community for professional medical cancer organizations, has led us to be recognized by the Legislature within the State. Our website provides information regarding statewide oncologic organizations, links to oncology resources, and recent meeting presentations. Each member of the Alabama Cancer Congress executive board encourages feedback and collaboration from our members. In this dynamic healthcare environment we must continue to provide excellent patient care while supporting the interests of cancer medicine providers in Alabama. 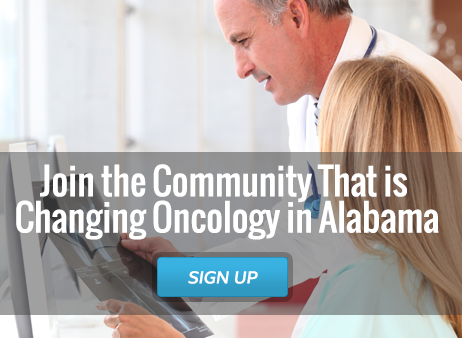 Our main mission is to serve as a sustainable inclusive representative body of all providers of cancer medicine in the state of Alabama – promoting education, advocacy and sense of community. ACC corporate membership provides businesses with the opportunity to align themselves with medical, radiation, gynecologic and neurological oncology practices throughout Alabama. Advertisers are able to reach the oncologists and practice decision makers via advertising in society newsletters, websites, and at business, educational and legislative conferences. CMS Releases Final Hospital Outpatient Payment Rule - The Centers for Medicare and Medicaid Services (CMS) released the final CY 2019 Hospital Outpatient Prospective Payment System (OPPS) rule. In the Society’s comment letter, ASH requested that CMS change the status indicator for the four new Category III CPT codes for chimeric antigen receptor (CAR) T-cell therapy from “B” to “S.” In the final rule, CMS did finalize this change for one of the four codes, code 0540T, CAR-T cell administration, autologous. Thank you for participating in our 2019 joint spring meeting in Point Clear! In order to receive your CME credit for the meeting, please complete the form you received in your registration packet and email it to [email protected] as soon as possible.